Assemblage Entertainment, the feature-film focused CGI animation studio has begun production on Norm of the North 2, the sequel of 2016 theatrical feature film Norm of the North, along with Splash Entertainment, Lionsgate and DFG Family. The movie is coming in 2018, but no release date was given for this animated sequel, and no voice cast members have been confirmed at this time. If it does hit theaters this year, it will join other animated sequels such as Sony's Hotel Transylvania 3, Pixar's The Incredibles 2, Paramount's Sherlock Gnomes and Disney's Ralph Breaks the Internet: Wreck-It Ralph 2. Here's what Assemblage Entertainment had to say in a brief statement. "In many first-of-its times, it is unprecedented that an independent animated feature from India is greenlit for a sequel to be watched by global audiences in 2018." 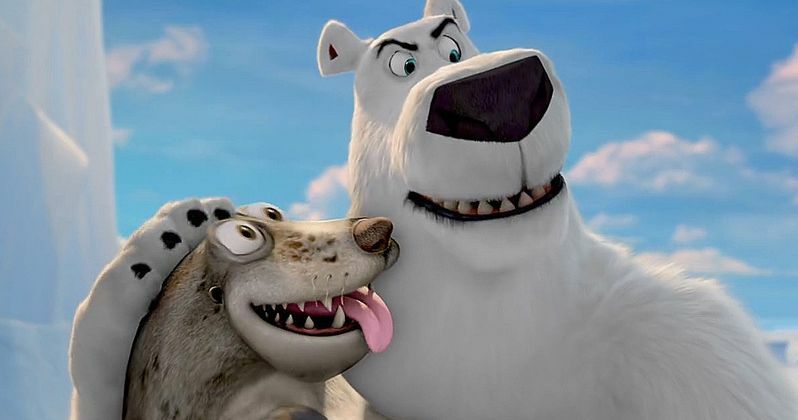 The original Norm of the North was released in January 2016, an animated family film that told the story of the titular polar bear Norm (Rob Schneider) and his three Arctic lemming buddies, who are forced out into the world once their icy home begins melting and breaking apart. Landing in New York, Norm begins life anew as a performing corporate mascot, only to discover that his new employers are directly responsible for the destruction of his polar home. No story details for the sequel have been given at this time, and it isn't clear if the same creative team from the original movie will be back for this sequel. The original Norm of the North didn't exactly set the box office on fire, taking in just $17 million at the domestic box office, although there is no data on its international release in more than 70 different overseas markets. The voice cast includes Heather Graham as Vera Brightly, Ken Jeong as Mr. Greene, Bill Nighy as Socrates, Colm Meaney as Grandfather, Loretta Devine as Tamecia, Michael McElhatton as Laurence and Gabriel Iglesias as Stan and Pablo. Norm of the North was directed by Trevor Wall, from a script by Daniel Altiere, Steven Altiere and Malcolm T. Goldman. Aside from the first Norm of the North, Assemblage Entertainment worked on Blinky Bill The Movie with StudioCanal, and they also contributed production services on Netflix's animated series Trollhunters, headed by Guillermo del Toro. They are also working on their third animated feature, the animated family film Arctic Justice, which will be released by Open Road Films at some point in 2018. The studio is founded by longtime animation veteran MK Madhavan, affectionately known as "Madmax" throughout the industry, who helped open up the Indian animation industry to global markets. The company is also developing its own original content with a variety of Hollywood content creators and producers. The sequel will be co-produced by Los Angeles-based Splash Entertainment, lead by Mike Young. He collaborated with MK Madhavan on the groundbreaking animated series Jakers! The Adventures of Piggly-Winks in 2003, which won both Emmy and BAFTA awards. With production currently under way, it remains unclear when we may get a first look at Norm of the North 2. Variety broke the news on this sequel earlier today.